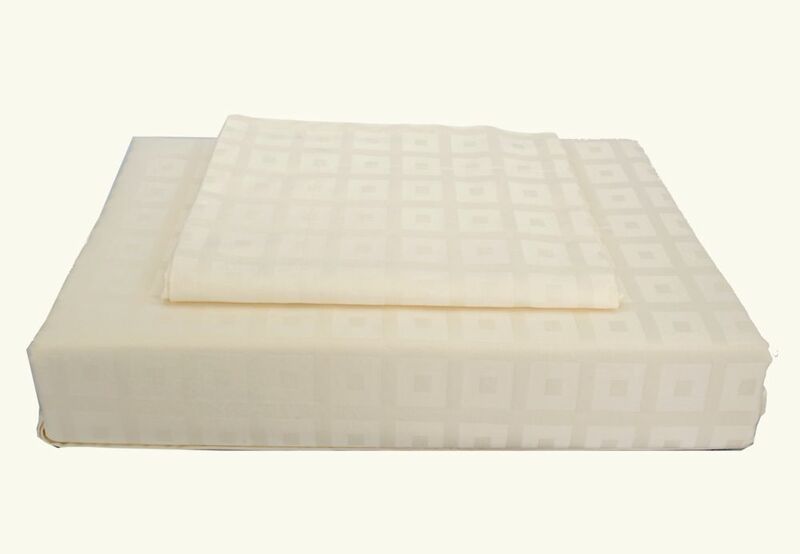 Bliss-A heavenly 400 thread count dobby geometric pattern in 6 contemporary colours. 1 -Duvet Cover - 88" x 90"
2 - Pillow Shams - 21" x 28"
Bamboo Stripe - 100% Rayon from Bamboo set with 2 cm Damask Stripe, in 5 contemporary colours. 400TC Bliss Duvet Cover Set, Ivory, Queen Bliss-A heavenly 400 thread count dobby geometric pattern in 6 contemporary colours.